Over time, I have already been to many trout openings and I have a fix schedule on what I prepare when during off-season. Needless to say, that this whole procedure is driven by anticipation, which grows with every day closer to the 16. of March. 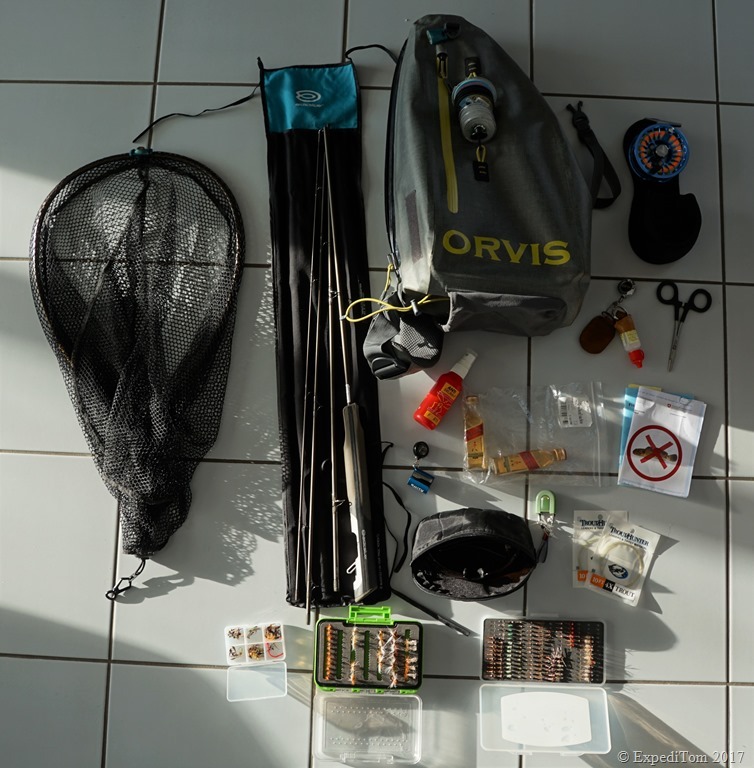 After a season of fishing, my equipment is quite heavily used and some parts even break. 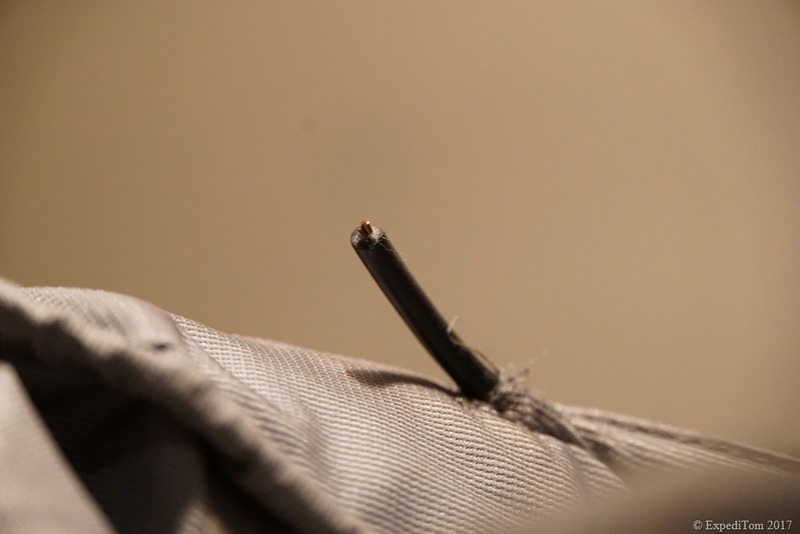 Therefore, the first thing I do is repairing my gear where necessary and check all my equipment. From wading boots, where the sole must be glued, checking waders for holes and especially cleaning the fly line as well as putting some grease on the gear of the reel. There is a lot to do in order to have durable equipment. Repairing the Taimen Wading Jacket after the wire which forms the hood pierced through the shell. One piece of gear which is often neglected are the pol glasses. Regular cleaning ensures better visibility. 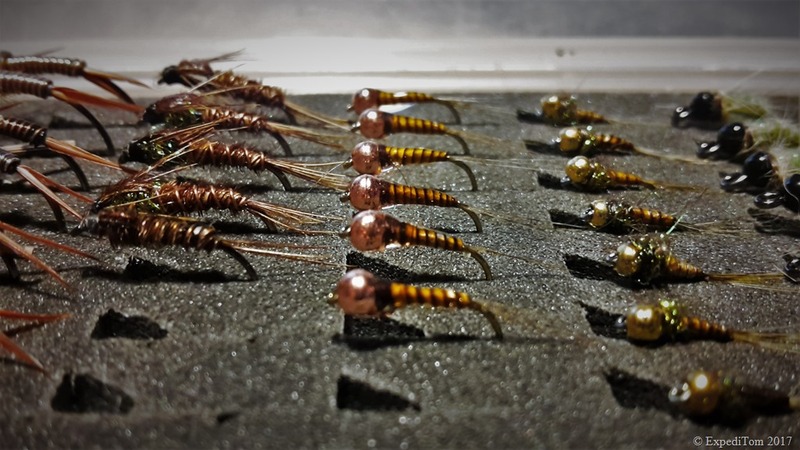 The colder months are the perfect time to stock up your fly box. 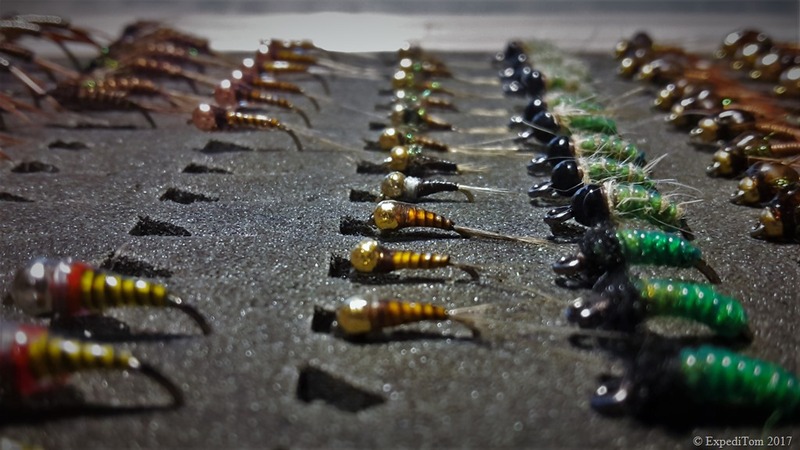 While tying some of your favourite patterns in different sizes, try some new ones as well. I usually look on Instagram and Youtube for new patterns. Make sure you tie each fly at least three times. One fly to lose, one to catch and the last to retie it. Moreover, it is useful to tie the same pattern in various sizes. I usually aim for three sizes (10, 14, 18) in order to cover a broad variety. There is nothing more annoying than standing next to rising fish and realise that the eye of your fly is glued. Therefore, make sure you check them before trout opening! Despite sitting inside at the tying desk winter is the time to improve your casting skills. Meet some friends and go casting together. I am convinced they will point something out to work on. If you have no critical fly fishing friends at hands, I highly recommend you to film yourself. Video feedback is a great way to see difficulties by yourself. About two weeks before the 16. of March I visit a fishing store where I restock on essentials. Perhaps there is even an event where you get a discount on some articles…? The stuff I buy are usually some leaders, tippets and grease. About two to three weeks before trout opening, I start to get itchy fingers and I feel drawn immensely to water. Subsequently, I begin to change my jogging route in order to follow the river that l plan to fish on the opening day. Additionally, on the weekends I undertake hikes along more remote waters. 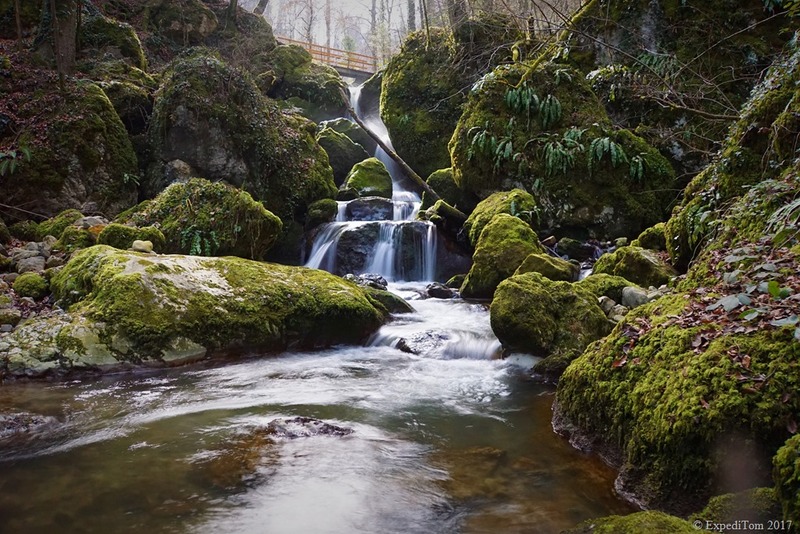 This exploring of the waters helps you to plan your approach better and you are not surprised that the recent flood has changed your favourite pool but has formed another just around the bend. Wild mountain cascade in the Swiss backcountry. 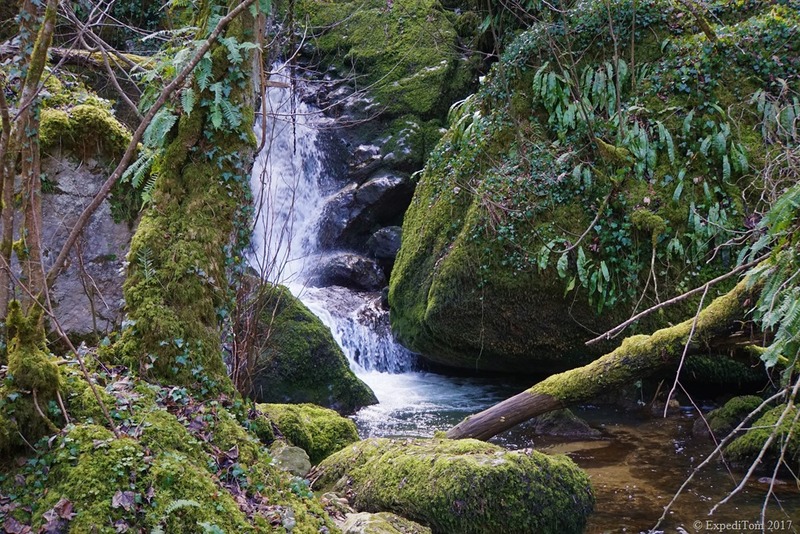 Bubbly little stream in the forest with a promising trout spot – foam is home. This colour screams: HOME OF A TROUT! I start with spreading all my cleaned equipment I take with me on the ground and pack them. Seeing everything at once helps you to not forget anything. After this I check the weather forecast and make a plan A. Rather than deciding already on the fly, I just plan where I want to start. It is advisable to have as well a plan B, in case A does not work. Last but not least, I make up my mind about the fish. What sustainable fishing approach is suitable for the waters you fish? Should I keep all of them so the cormorants do not eat them? Or might it be useful to release a large fish in order to enhance the gen pool? Yet, first I have to catch the large one. I wish you all the best for your trout opening and tight lines! 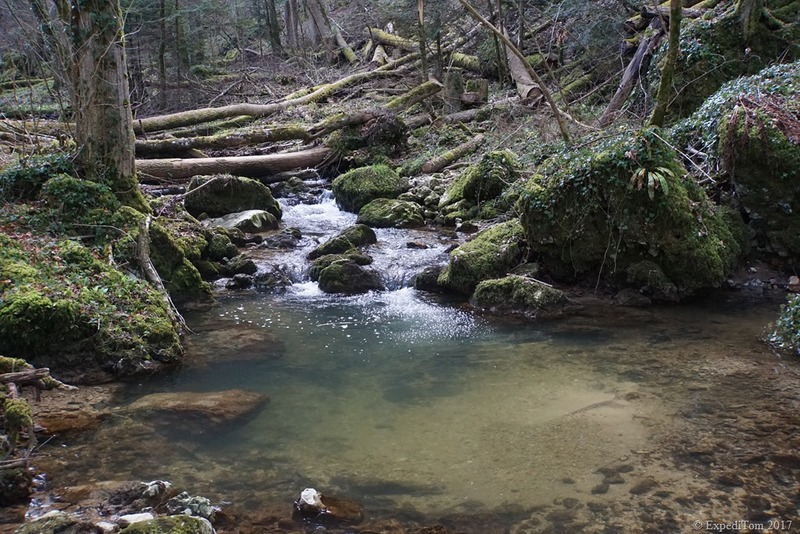 During early season there might still be some trout eggs in the small gravel beds especially in waters in higher altitude, where it is colder for a longer period. So please make sure you do not to stand on any spawning places of trout! Do you have any questions about the trout opening in Switzerland?